On screen, onstage, in concert: here’s some stuff I got to see last week. Only Lovers Left Alive (Jim Jarmusch, director). What could be more modern? Two lovers live on opposite sides of the continent; when Adam (Tom Hiddleston), a legendary rock star recluse holed up in Detroit, becomes suicidal, his lady, Eve (the tres elegant Tilda Swinton) drops everything and flies to his aid. The hitch? Both are vampires, which complicates travel (Eve’s insistence on a night flight is priceless). But Jarmusch isn’t going all Twilight. Daylight and a dwindling blood supply are minor obstacles: these lovers are also plagued by loss, something Jarmusch charts with the delicacy of an archeologist. A rhapsodic reliquary, Only Lovers makes the argument that civilization peaked a long time ago, a point driven home in a scene where Swinton peruses a wall with photos of Hiddleston’s “heroes.” As Jarmusch’s camera pans the faces of Albert Einstein and Neil Young, he reminds us of the greatness our world has wrought; he visually juxtaposes these markers with the beautiful ruins of the Motor City. With John Hurt, Mia Wasikowska, Anton Yelchin and Jeffrey Wright. A Raisin in the Sun (Barrymore Theater). During intermission, our discussion was interrupted by a woman who insisted that, “things have changed; don’t we all get along now.” Her faint desperation (and whiff of white guilt) struck us dumb. Raisin is about many things, but people who hear only an indictment of the white race miss the point. It is about hope, as manifested in one South-Side Chicago family whose preoccupations have less to do with getting along, more with getting by. The Younger family’s issues (affordable housing, the high cost of education, upward mobility) make Raisin as timely as it was back in 1959, as anyone who reads the papers or watches Meet the Press knows. But the Younger family isn’t battling Whitey (the blatant racism in one scene excepted); alongside history and economics, they’re at war with their own mistakes and errors in judgment. You’ve never seen a bunch of characters fiercely determined to grab their dreams on their own motor. Go, and admire the performances of Denzel Washington (you’ll forget he’s twenty years older than Walter Lee is meant to be), Anika Noni Rose, Sophie Okenado, and the revelatory LaTanya Richardson Jackson. 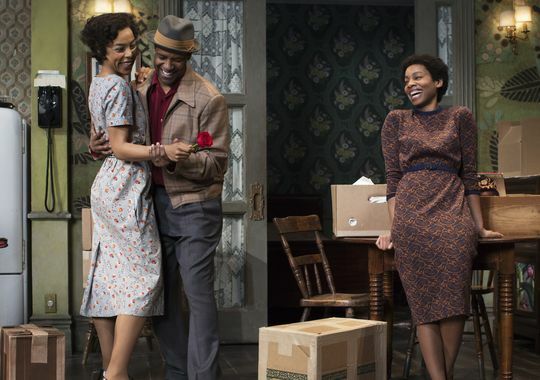 Revel in the timelessness of Lorraine Hansberry’s classic well-made play. Raisin reminds us that, for a particular class of people (color has nothing to do with it), downward mobility remains a defining reality. Some things haven’t changed at all. 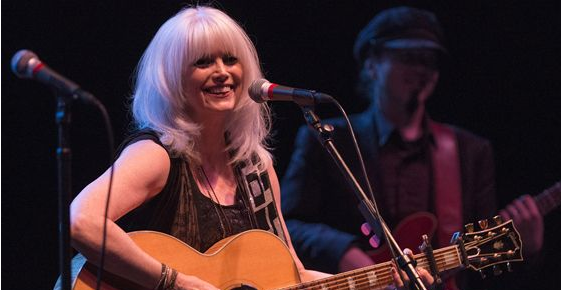 Emmylou Harris’ The Wrecking Ball Tour at BAM’s Harvey Theater. I’ve been a fan of Miss Harris since college (a shout out to Betty Alley, thanks) but it’s taken all these years to see her live. She doesn’t disappoint: aside from an eccentric crack in the upper reaches of her range, her inimitable Ozark yodel remains as vitally poignant as it ever was (and the wigmakers for Only Lovers Left Alive should’ve taken notes–the white mane of hair Harris sports puts Swinton’s obvious-wig confection to shame). At BAM she got an assist from original producer Daniel Lanois who opened for her, and stuck around to harmonize and play guitar (bassist/singer Jim Wilson and drummer Steven Nister contributed to the aural beauty). The Wrecking Ball CD was a high point in the Harris catalogue, and hearing the recreation of Lanois’ sinuous production made me want to go home and play it all night without audience-distracting phone cams and iPads to record their moments for posterity. Guess I’m old-fashioned. The Indians knew from what they spoke: clearly fans don’t feel their experience is complete unless they steal the artist’s soul, and disrupting the pleasure of listeners content to be where they are. Shame on them. BAM’s management should start treating those scoffaws like the five year-olds they mimic if they insist on continuing such bad behavior.